Parts for the Razor E100, E150, E200, E300, PR200, Ground force go kart, MX350, MX500, Pocket mod bistro/bella, E500, Razor Rebellion mini chopper, Razor Dune Buggy, Razor C300 mini chopper, Razor E Punk and Razor kick scooter parts. The ultimate online source for all of your Razor parts needs. Parts for Schwinn electric scooters. 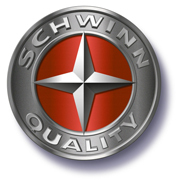 We carry OEM and After market parts for your Schwinn quality brand electric scooter. Find your parts for Mongoose Electric scooters and Mongoose Electric Bicycles. 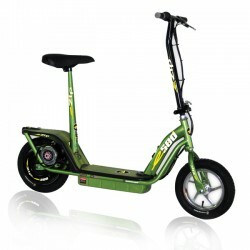 Parts for GT brand electric scooter models such as the GT-200, 250, 300, 350, 500, 750, Shockwave, Trailz and Tsunami. Bladez stock and performance scooter parts. Elite series, XTR series Moby series electric/gas scooter parts and much more. The parts in this category are interchangeable with Tanaka Paverunner scooters. X-TREME makes some cool scooters, "hands down" some of the most utilitarian scooters on the market. WE specialize in cool stuff as you know, find OEM and Performance parts for your X-TREME scooter or write to us and request something really special. every family and community. Our quality assured, competitively priced products including 50cc to 1000cc street legal scooters, motorcycles and off road ATVs, UTVs, Dirt Bikes and Go-Karts. We also back you up with high quantity parts items in stock. Freedom Gas and Electric scooter parts, accessories, and performance parts. We stock a full line of OEM and Performance parts for your Freedom Gas or Electric Scooter: Tires, Tubes, Batteries, Chargers, Air filters, Pipes, and more! Parts for Mosquito brand scooters. DX26, Tiger, Hawk and Stinger. Boreem scooter parts and acccessories for Boreem Gas and Boreem Electric scooters. Chargers, Body parts, Lights, and More! 24 and 36 volt Electric Scooter Parts for brands such as Electra Scoot-N-Go, Freedom, BMX, Boreem, X-treme, Sola, SunL and much more. This scooter has a full-plastic body with a 36, 43 or 49cc 2-stroke engine. Sold though stores such as Kragens, Schucks, Checkers, Pep Boys and heavily sold on the internet though 2002 to present. Commonly found under brand names of X-treme, X-treme Xg-470, Boreem, G-Scooter, Jet Star, Sunl, Roketa/Terminator and many more unlisted makes. 49cc 2-stroke, stand-up gas scooter parts. Black Widow, Sunl, Roketa, Boreem, Freedom, BMX, Extreme, Scooter-X, and many more. 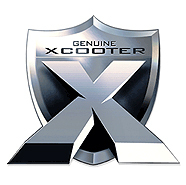 Parts for popular imported 43cc 2-stroke scooters sold by as Tornado, Martin, Boreem, Scooter-X and many more. Early model 33-36cc scooter typically without any plastic body parts and has 8 1/2 x 2 tires. Found under brand names such as Boreem, G-scooter and Jet-Star. Parts for 22cc and 26cc Chinese-made scooters. These scooters are sold under brand names such as Tornado 22, Go-Ped, Scooter-X and many, many more. Parts for MC100E/RS-RL102 and MC200E/RL202 electric scooters. Widely sold through Big Lots and other discount retailers.